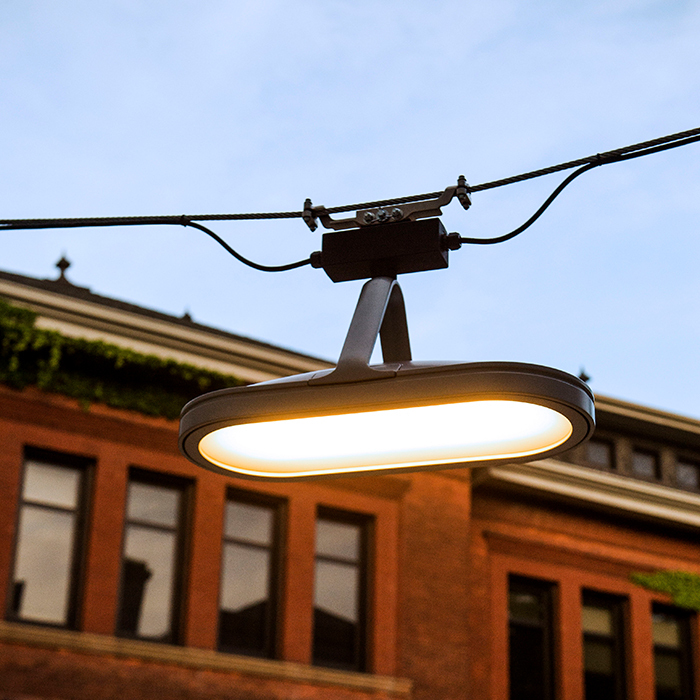 Torres lights are a beautiful complement to urban landscapes, plus traditional and contemporary architecture, improving, but not altering, the composition. 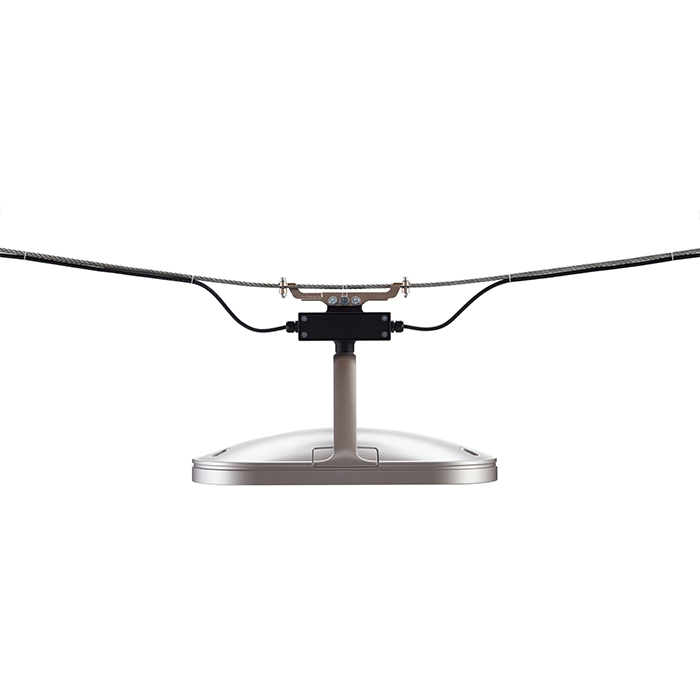 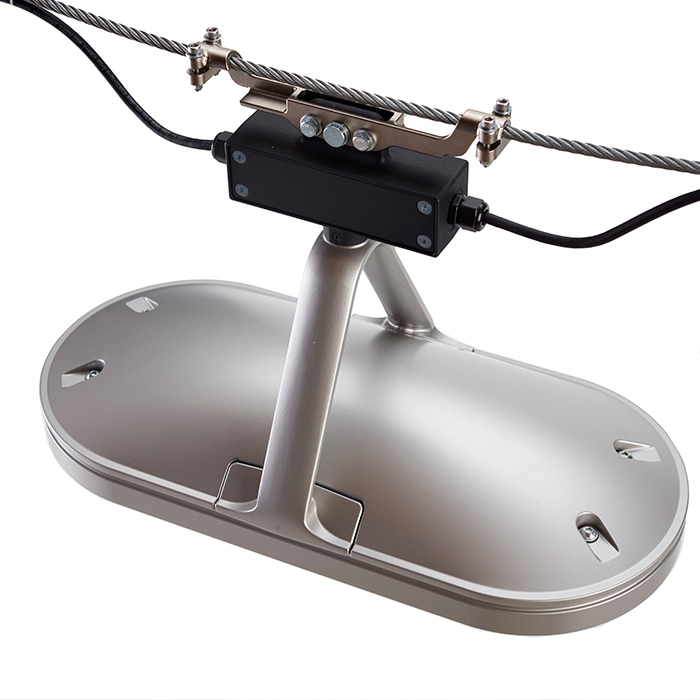 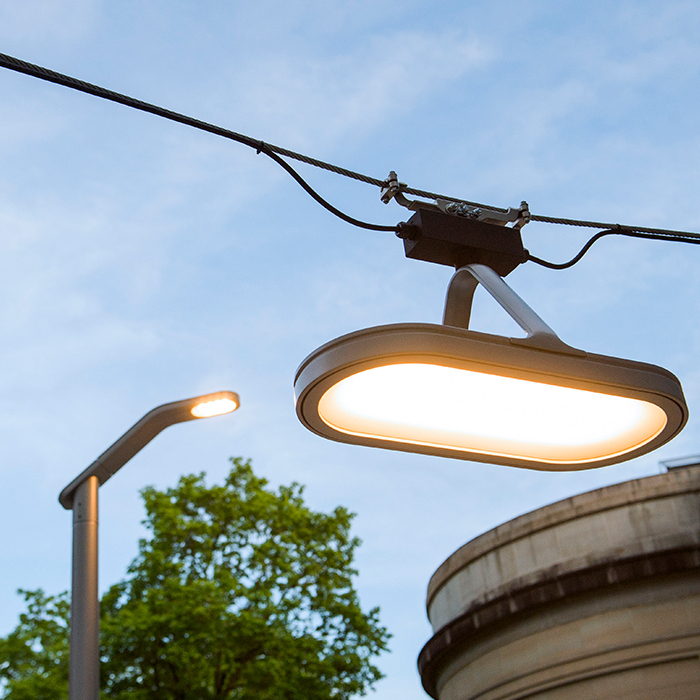 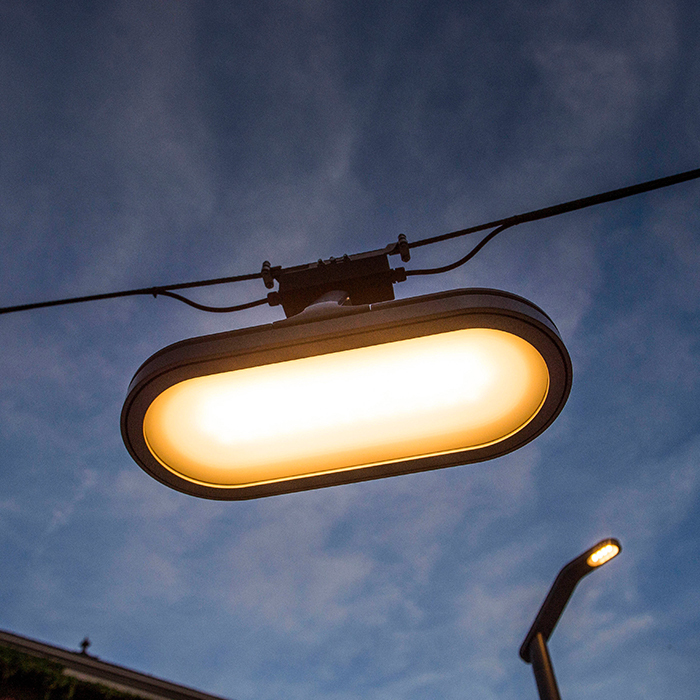 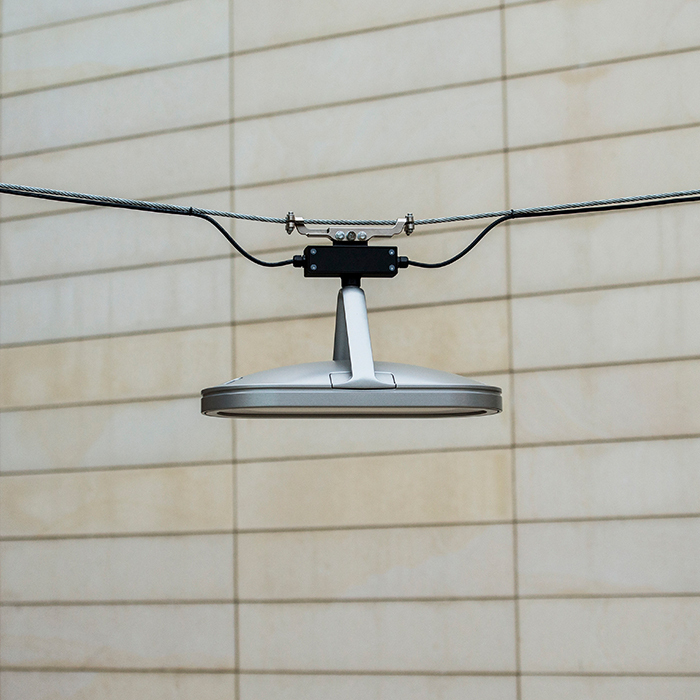 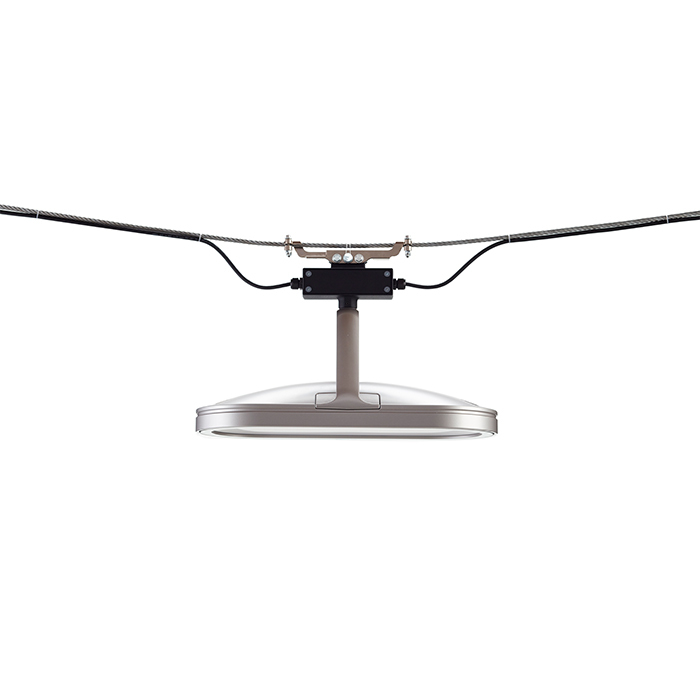 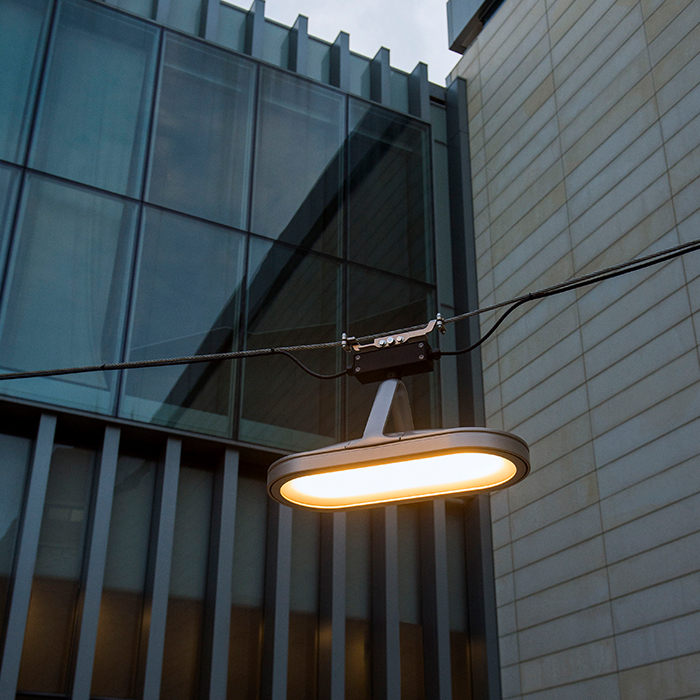 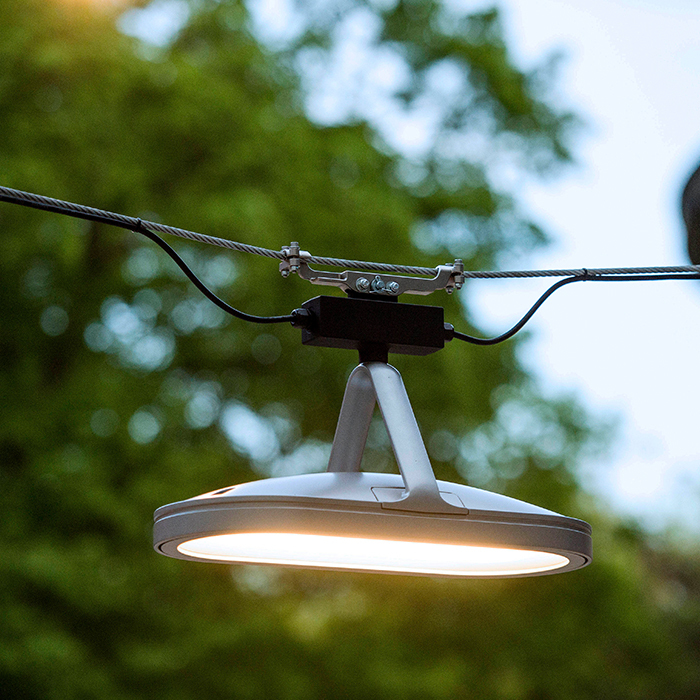 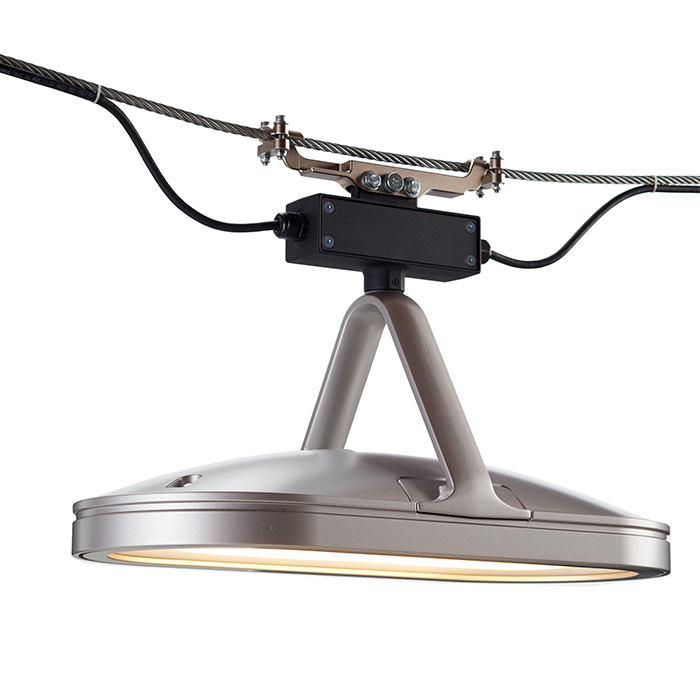 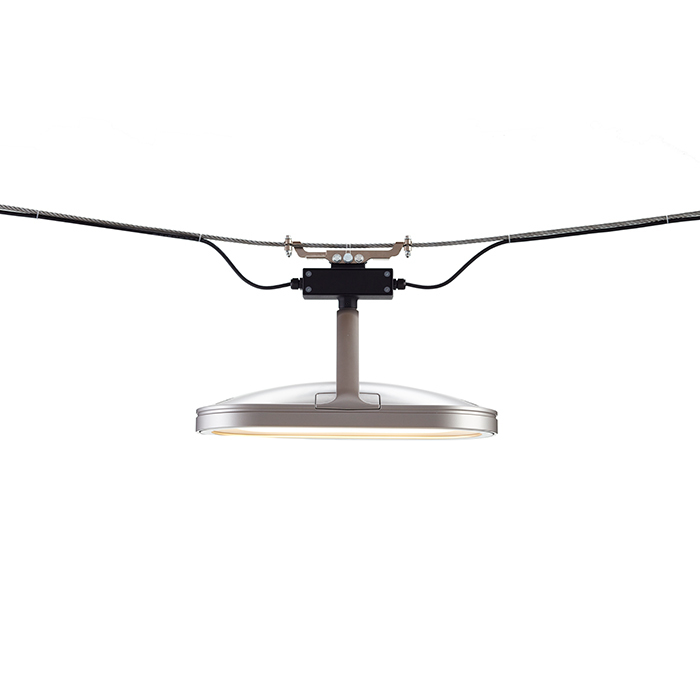 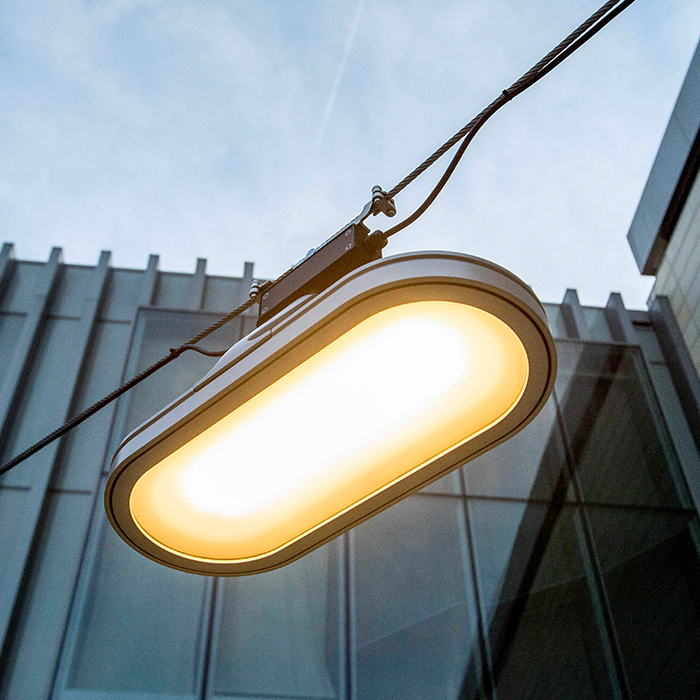 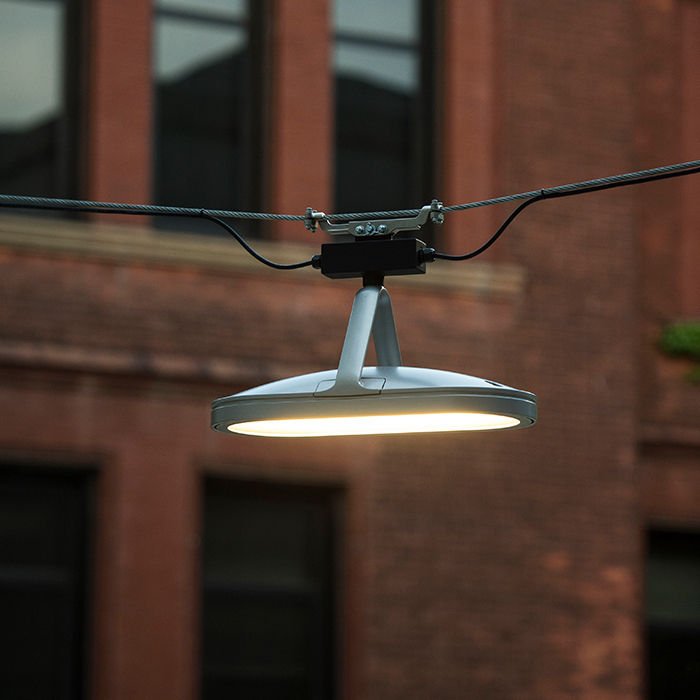 The catenary light's advanced LED array and optic design provides warm white light with superior visibility, high colour rendering, minimal glare, and no uplighting. 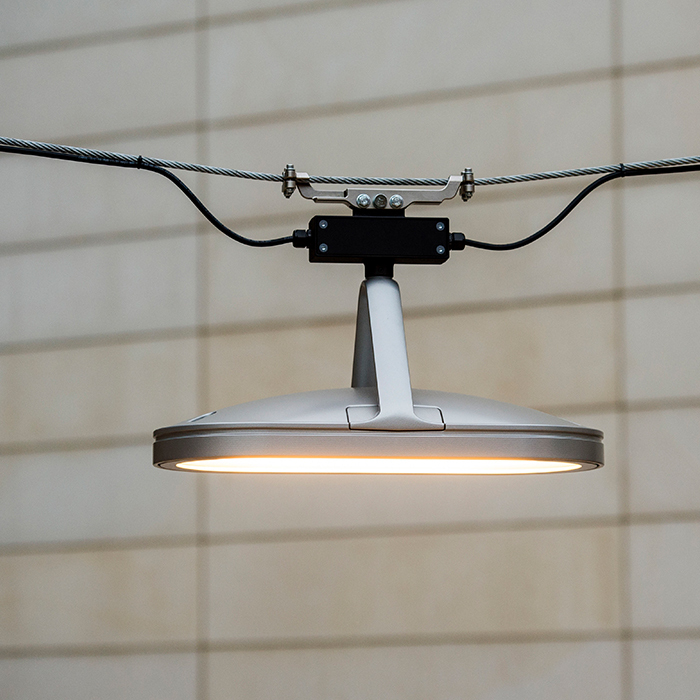 Torres lights are manufactured from cast aluminium and offered in a full colour palette, finished with Landscape Forms proprietary Pangard II HAPS, VOC, and lead-free polyester powdercoat.